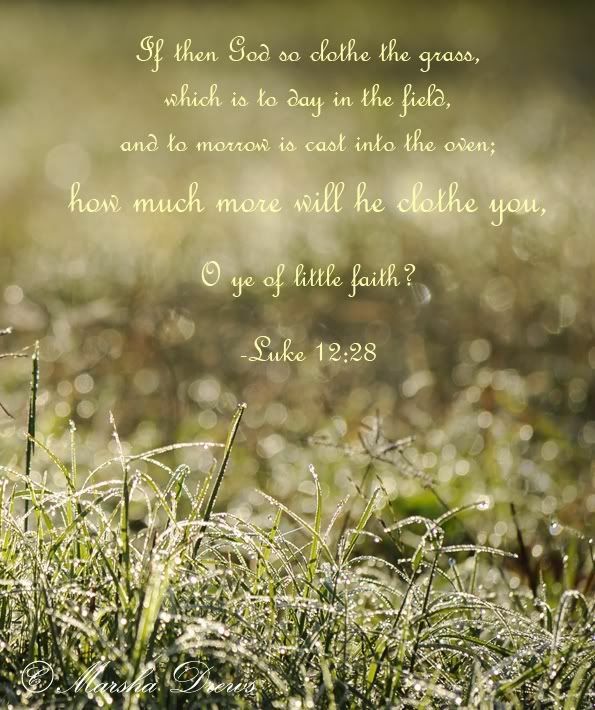 how much more will he clothe you, O ye of little faith? and your Father knoweth that ye have need of these things. 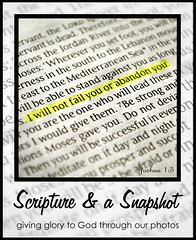 Linking up with Week 12 of Katie's Scripture & A Snapshot. I love this post. I have memorized this verse because I have to remind myself to seek first His kingdom not my own sometimes. Lovely shot as well. Lovely shot, but more importantly the wonderful message of scripture that plays tug on the strings of my heart. PS...I have a Sabbath Giveaway on my blog! Oh, Marsha. I so needed this reminder right now. I love the last part of this passage - it always makes me think of that song, although I can't think of the name of it! Stunning photo to go with this verse, too! I love these! You are so creative with your pictures. One day I just might join in! great scripture and good question? what am i seeking...something to pray about. I've seen a few other posts with this same theme - and I have one sitting around in the back of my head for a while -- just waiting for the right time to share about it. Lovely photo - and a great reminder to us that even in this rocky-unsettling world we live in, God knows our needs and does provide! We need to focus (seek) on Him and not ourselves!